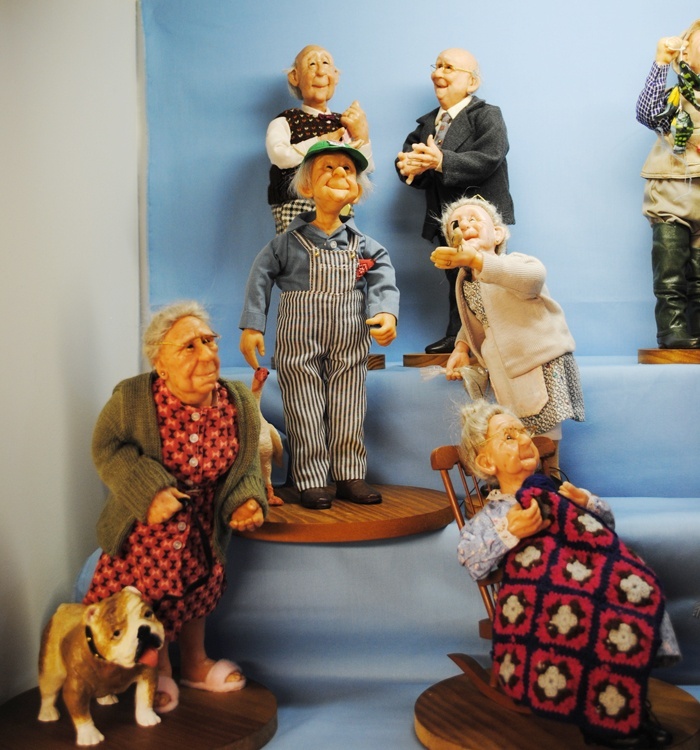 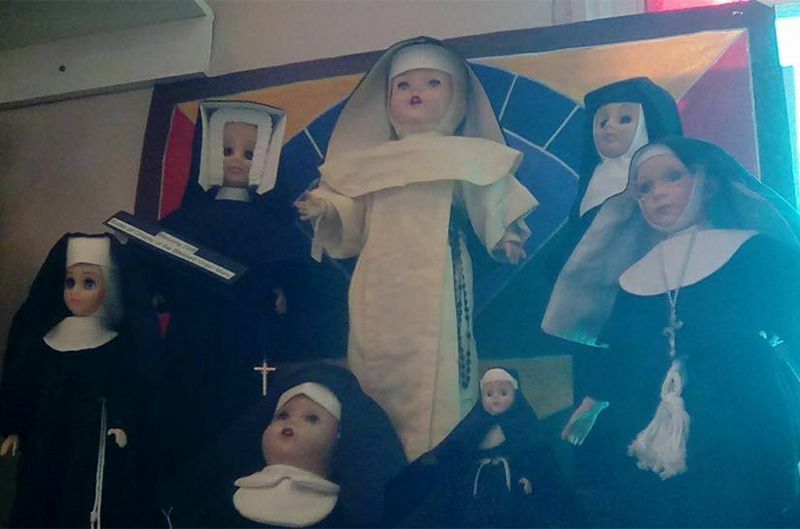 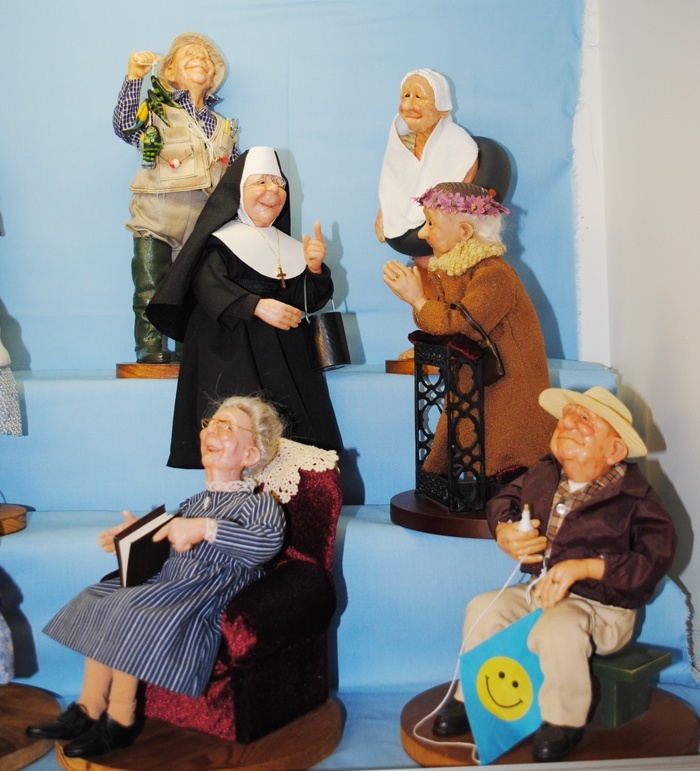 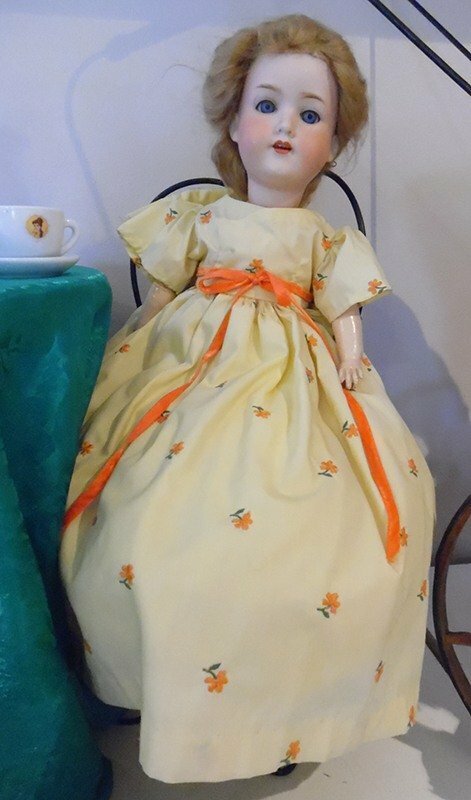 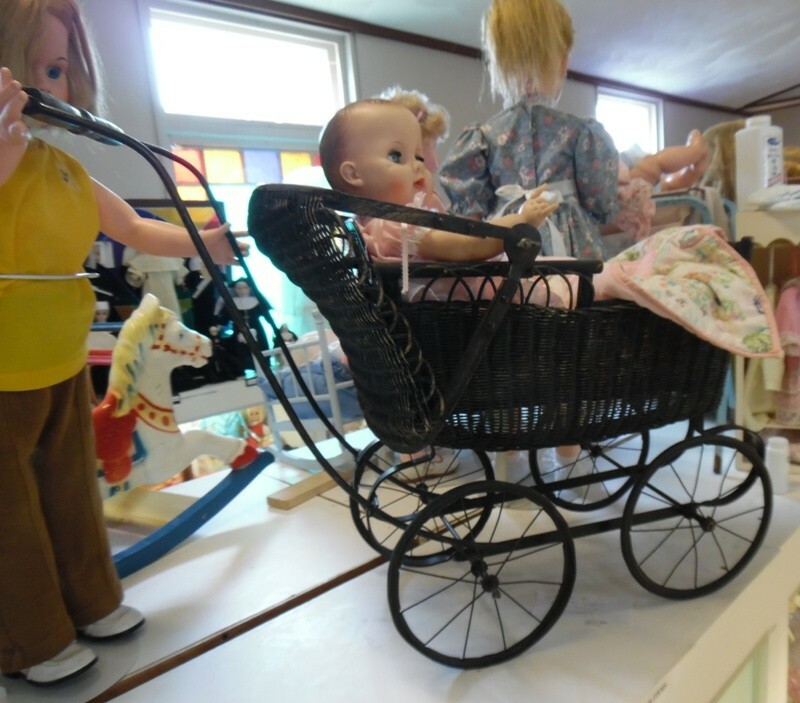 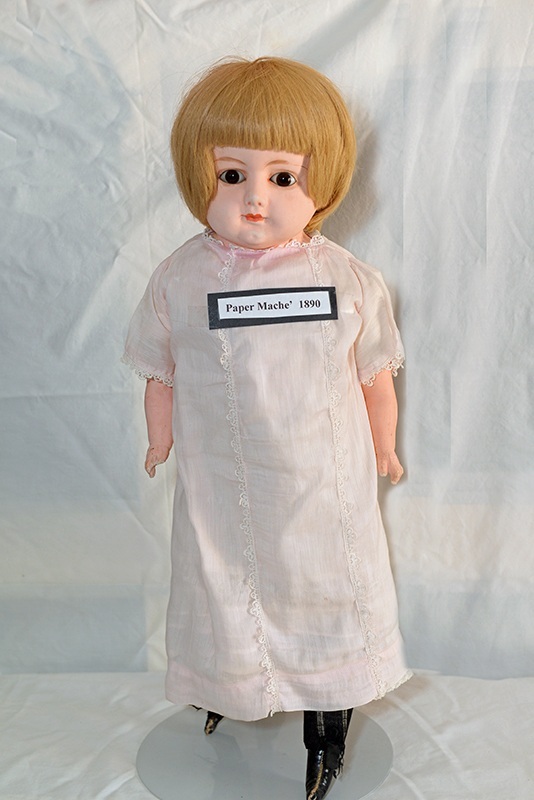 The Doll and Toy Museum in Fennimore, Wisconsin, houses an amazing and diverse collection of heirloom dolls. 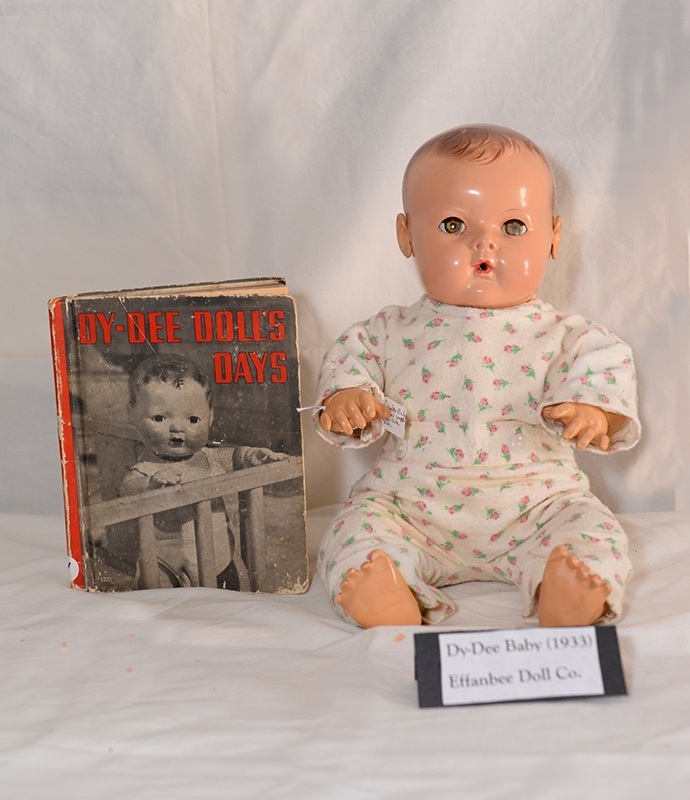 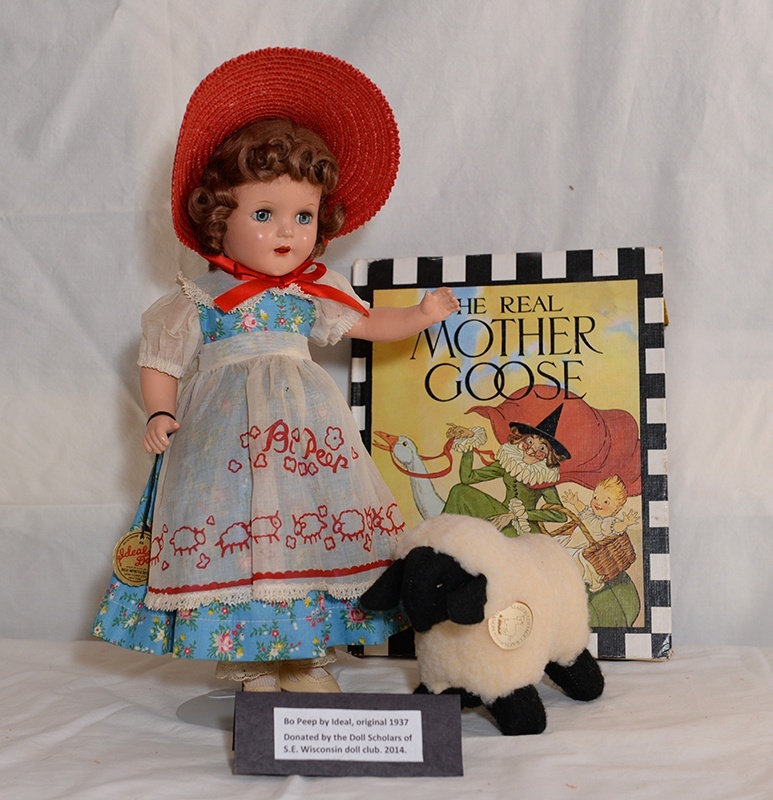 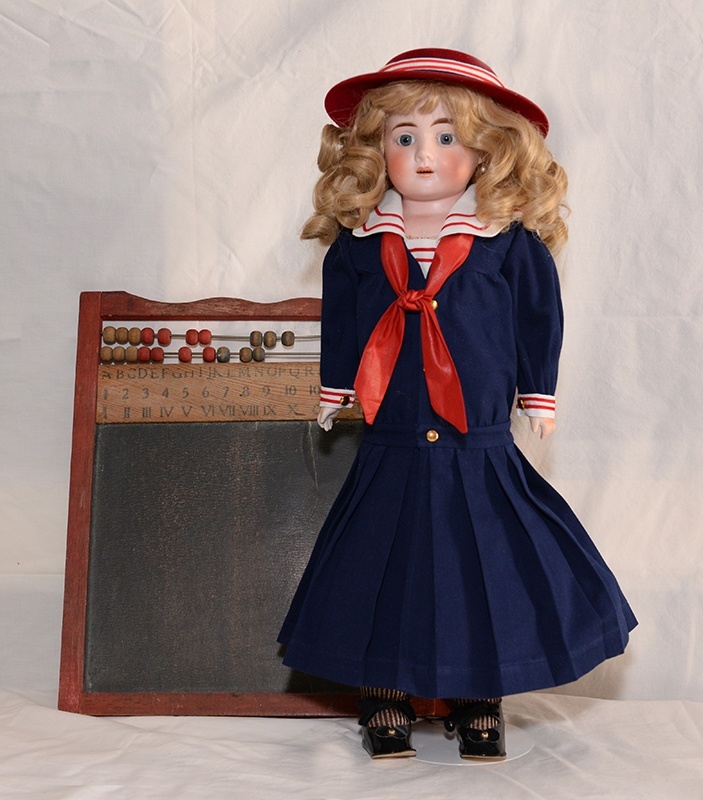 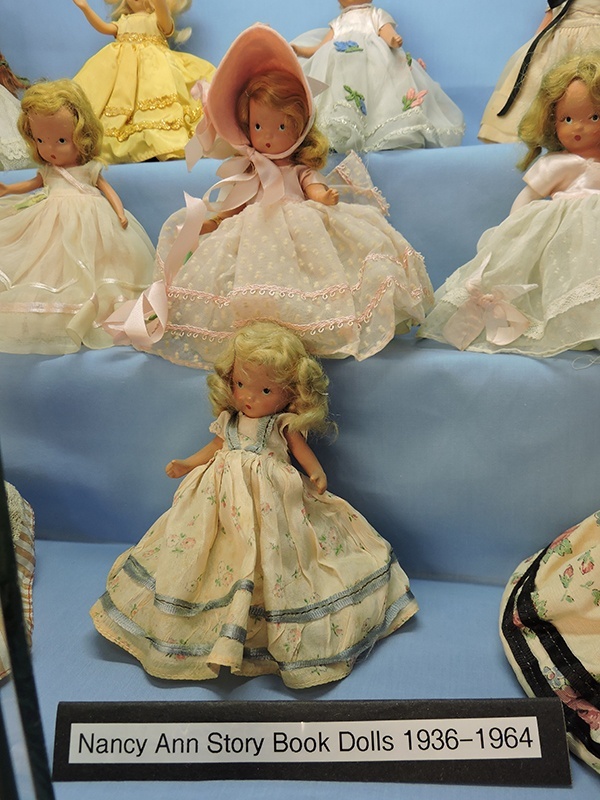 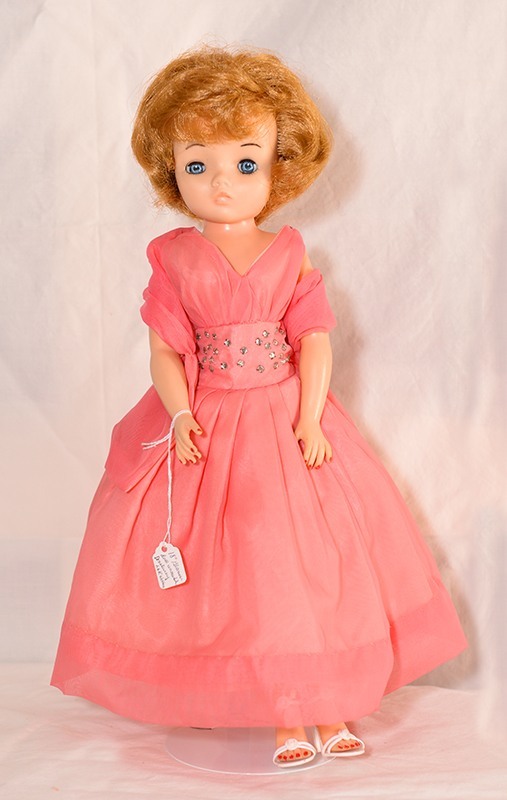 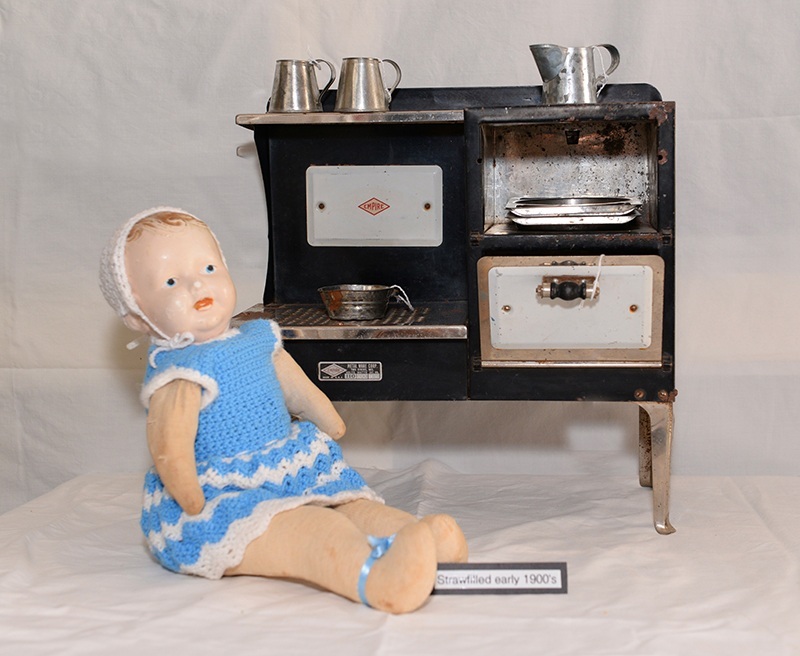 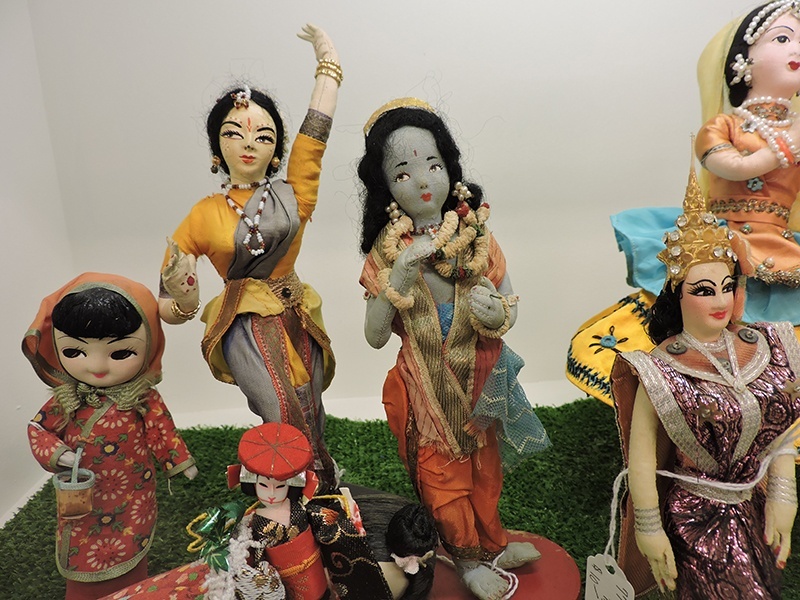 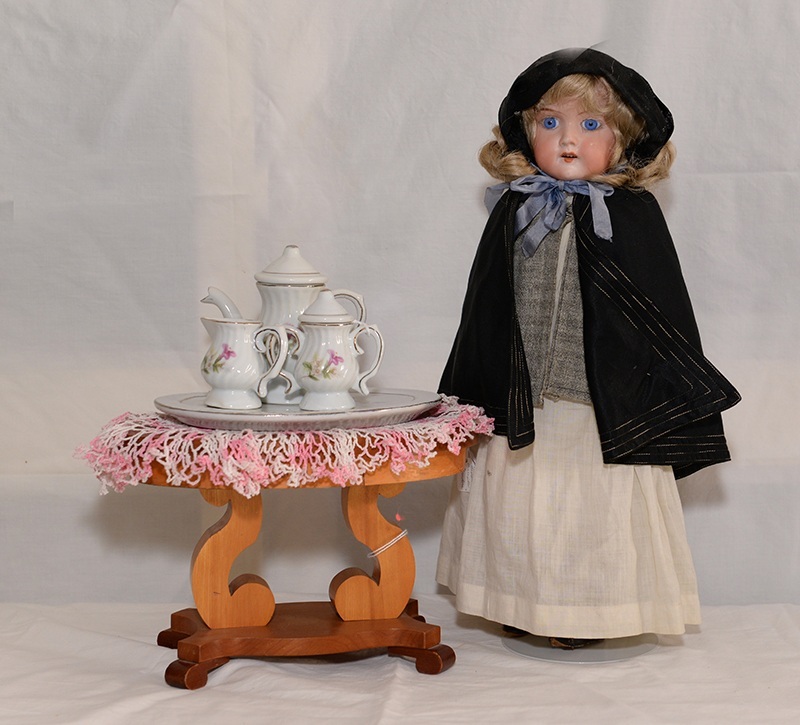 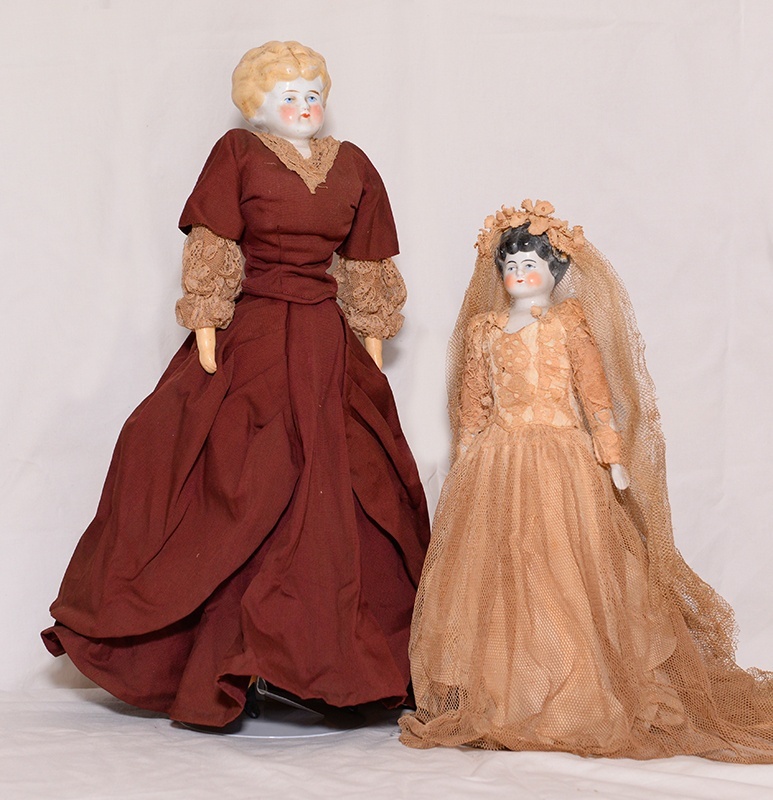 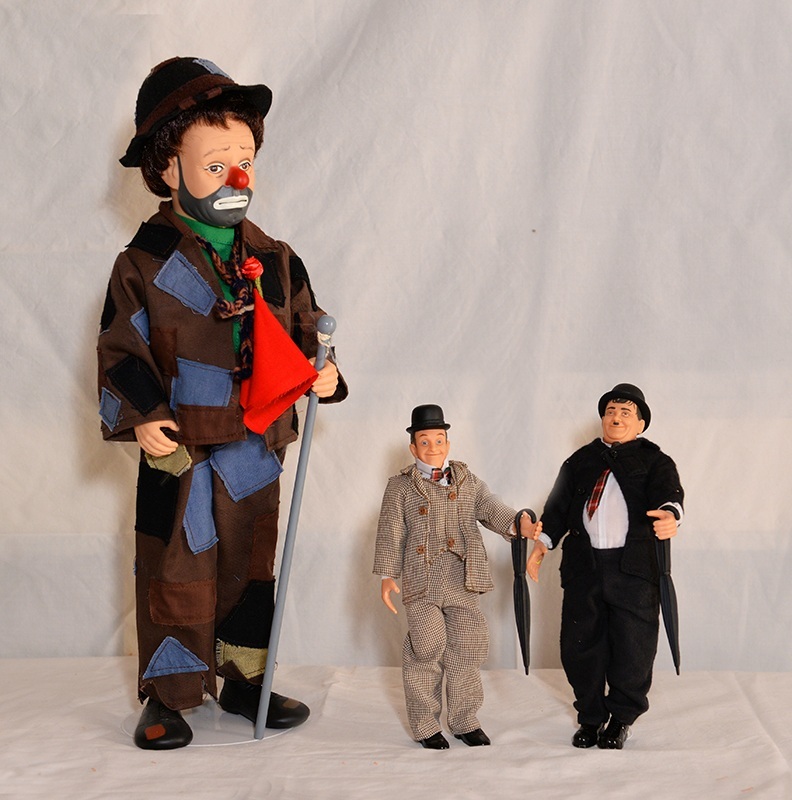 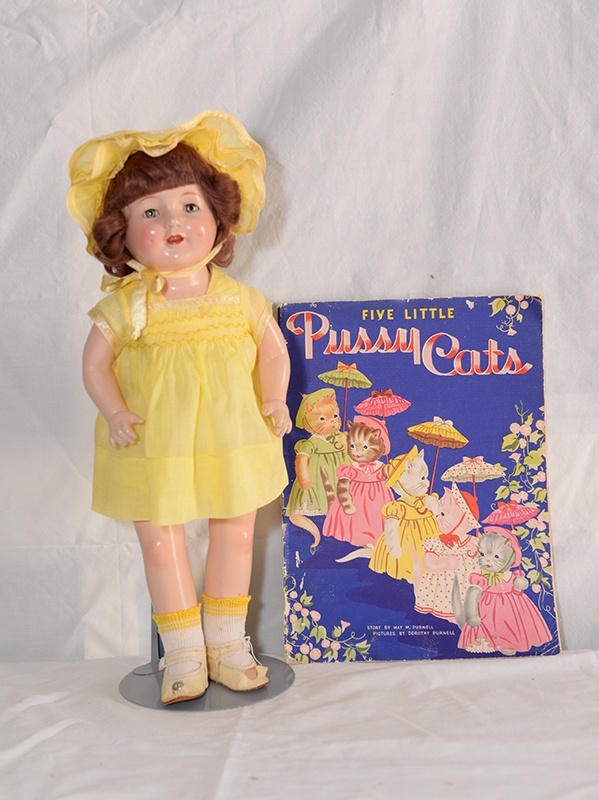 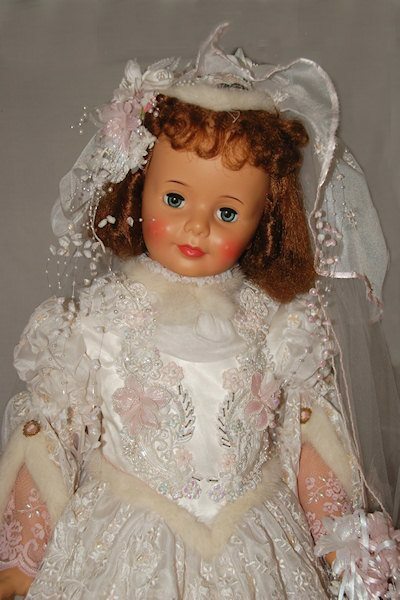 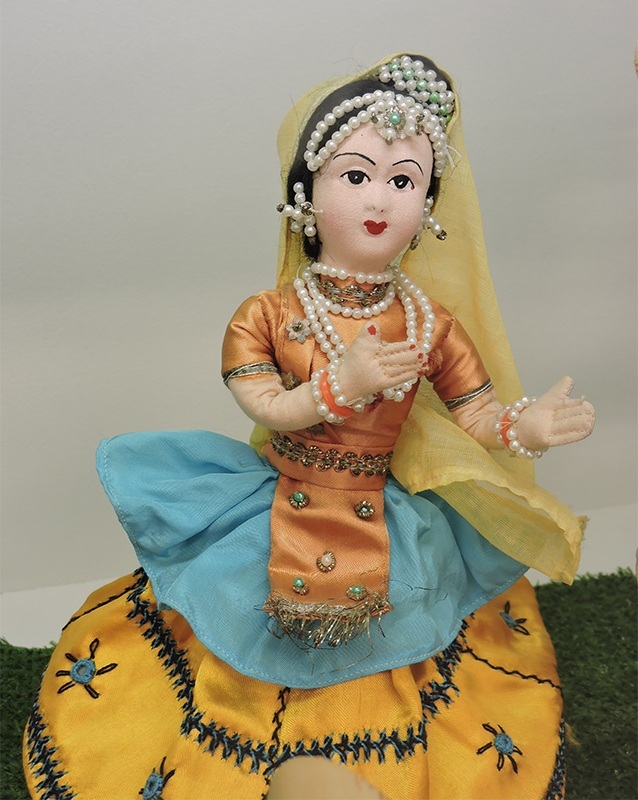 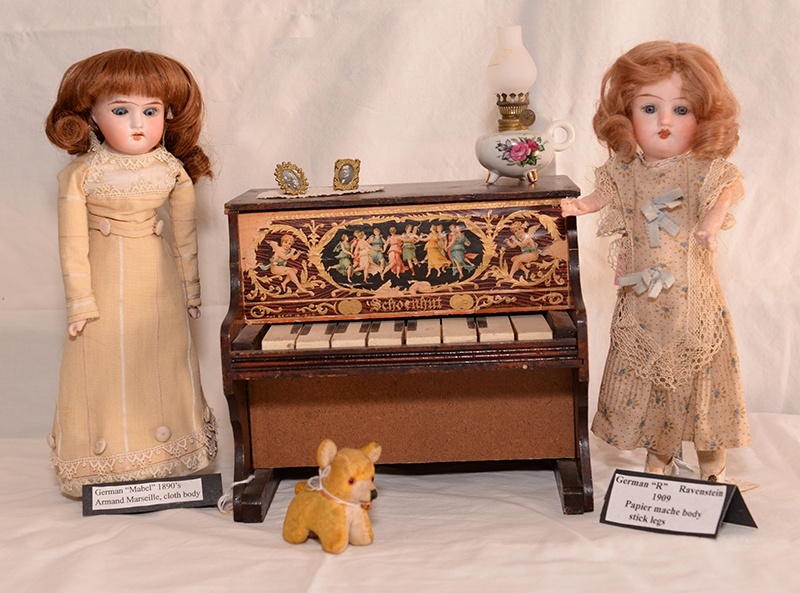 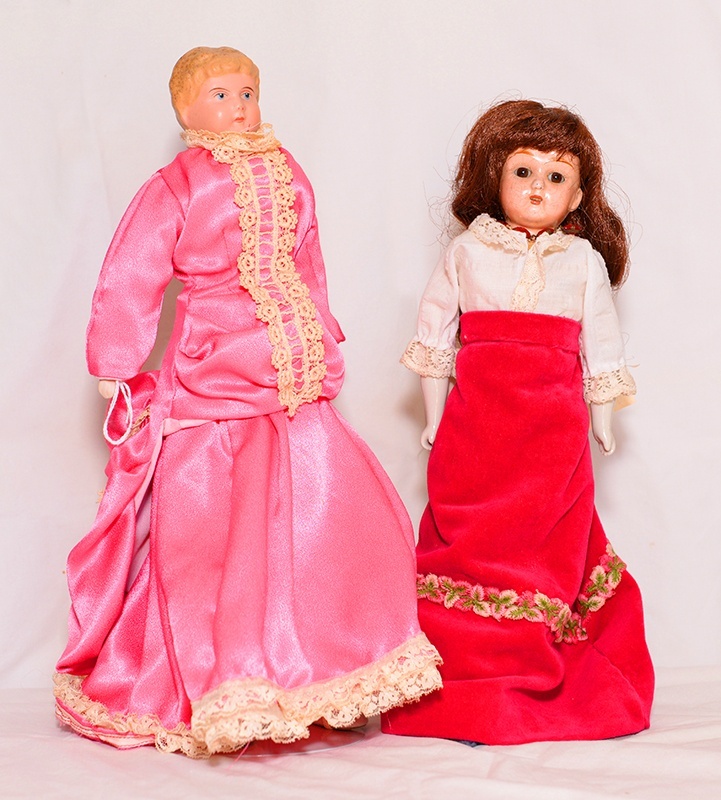 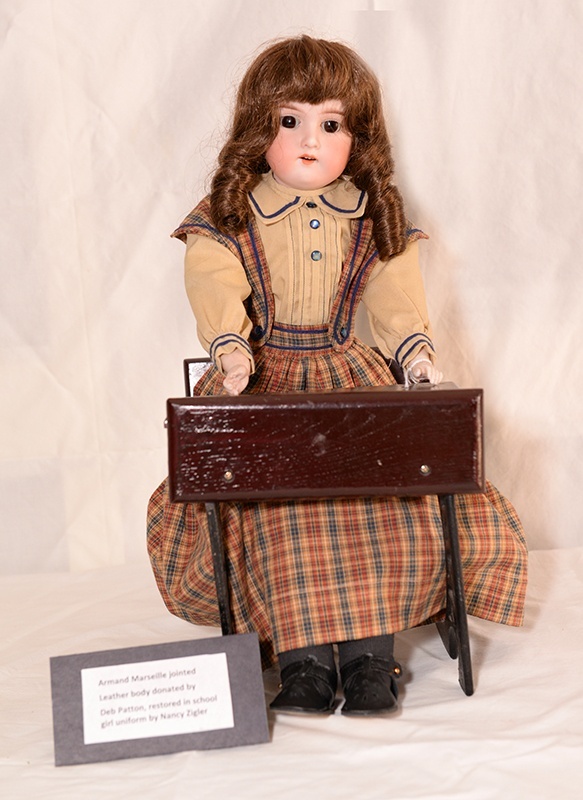 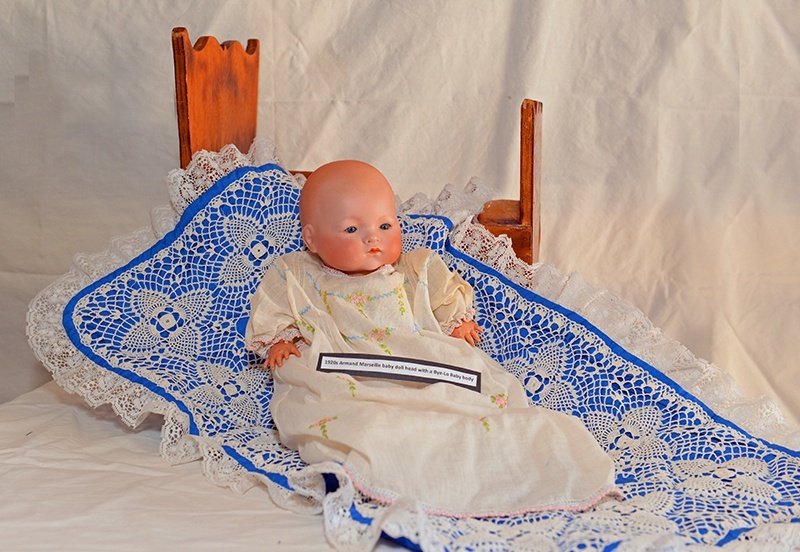 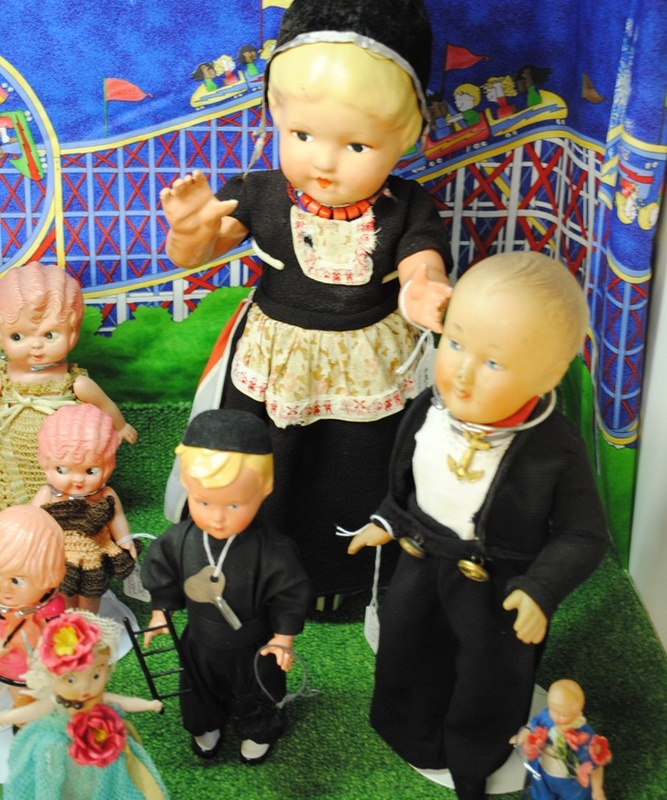 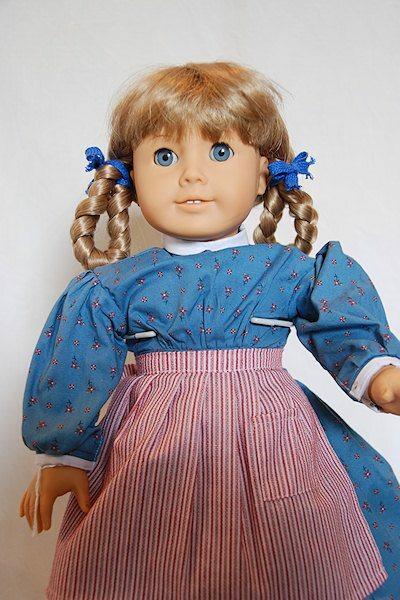 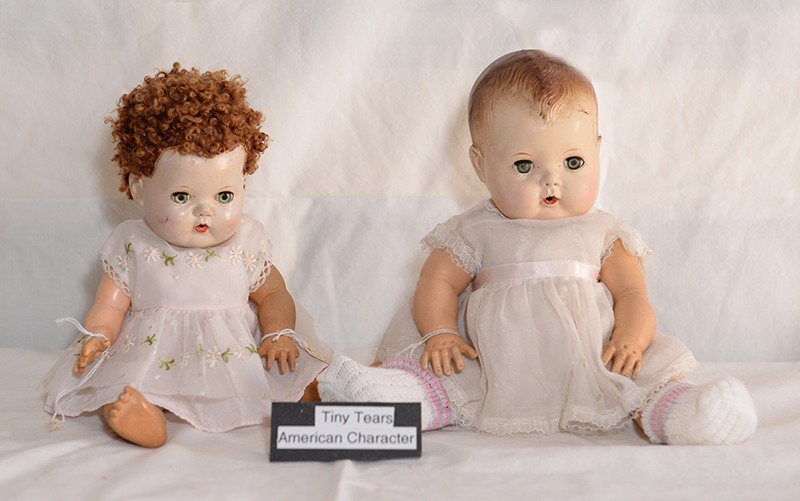 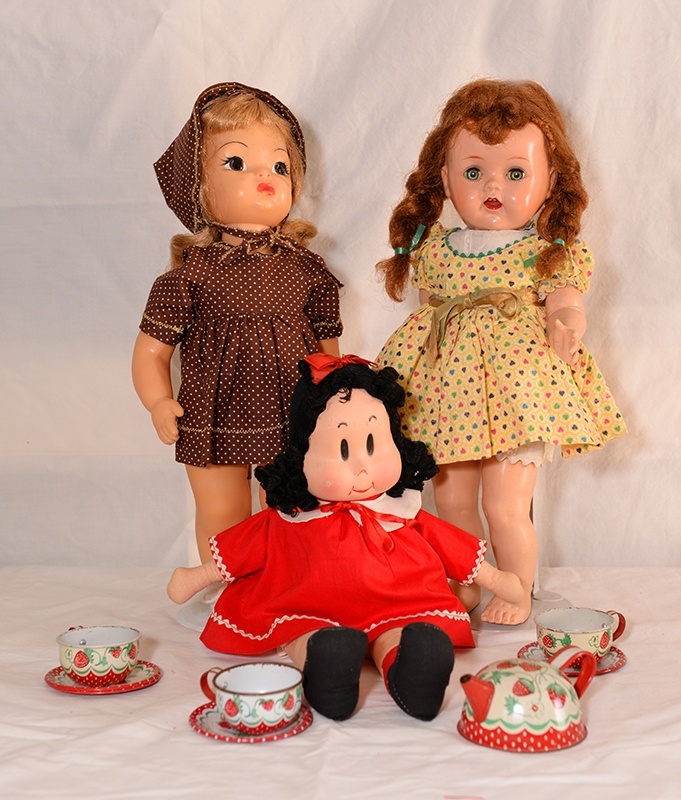 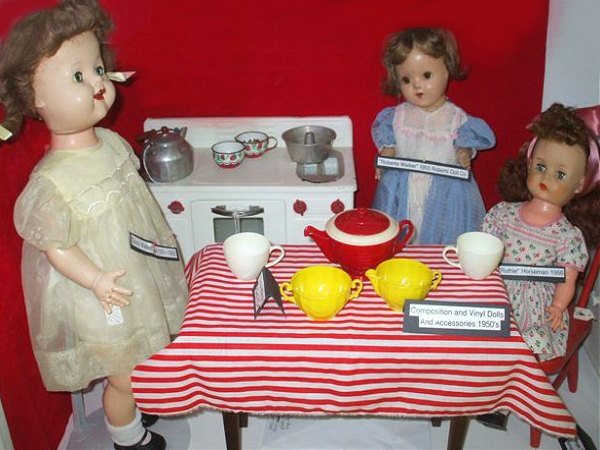 Classic and collectible dolls from around the world and vintage dolls representing many eras are on display. 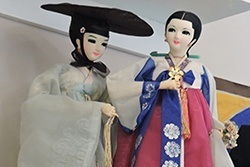 Handmade dolls of natural materials, miniature dolls, antique porcelain dolls are all showcased here. 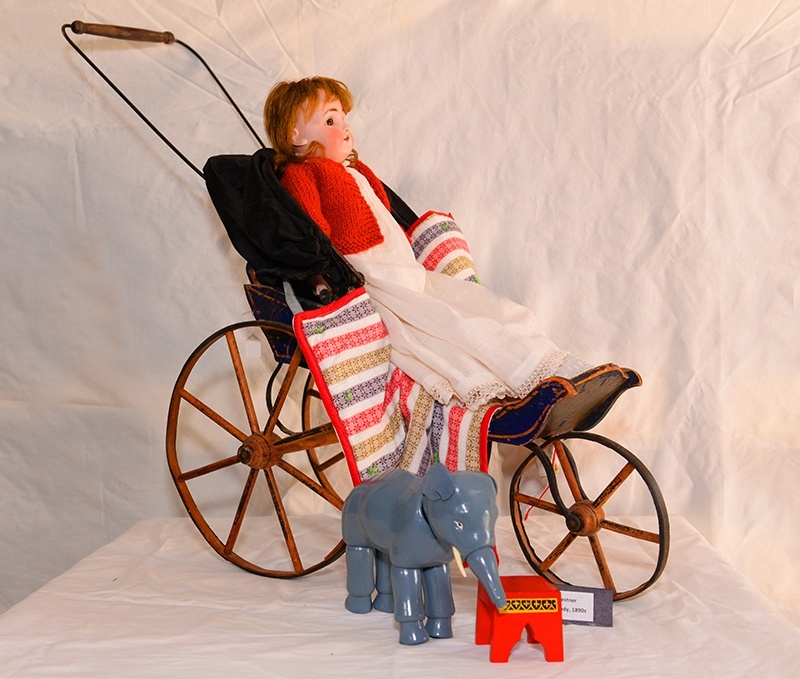 The environment has been a major factor in the development of imagination. 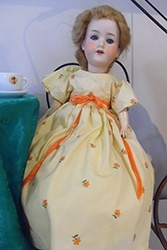 Corn Cobs, Dried Apples, and Nuts are a few of our examples. 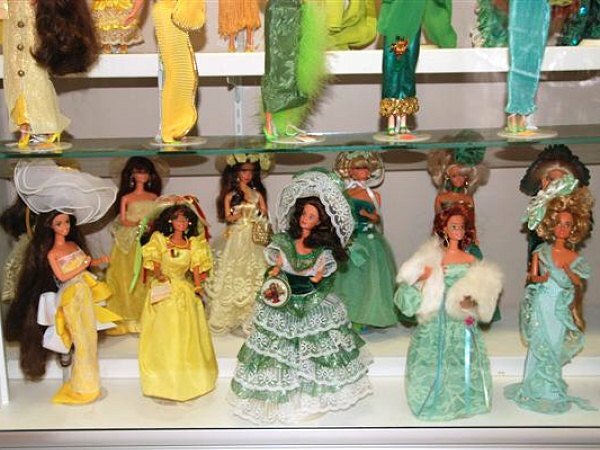 One of our cases shows 22 different materials that dolls are made of. 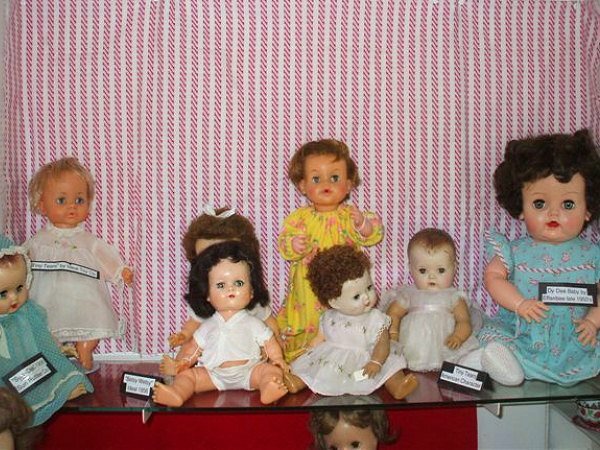 Many of these are homemade. 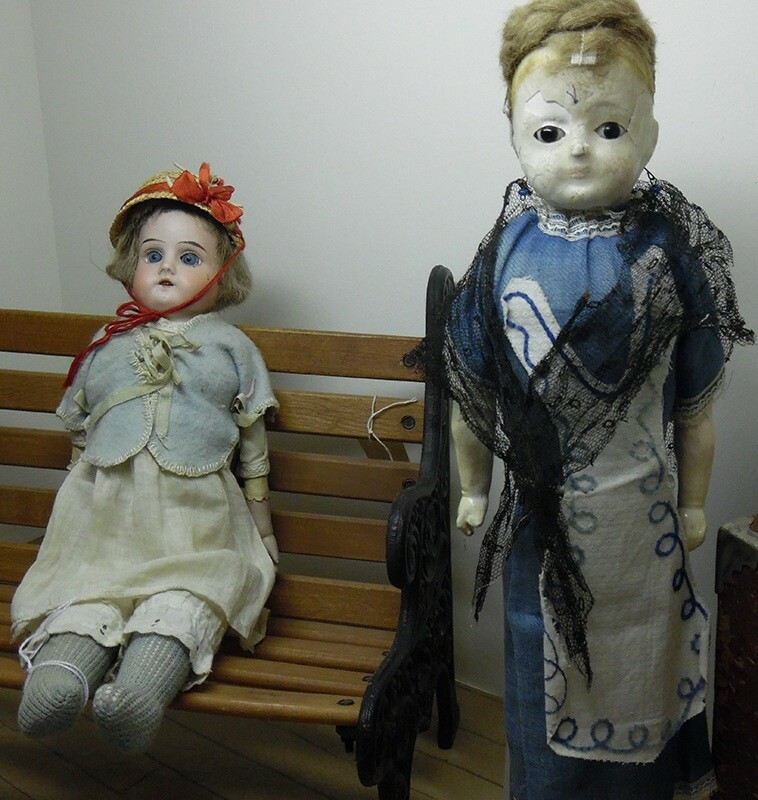 From century's past, a lovely paper maché, tin and brass heads, wood, china, bisque, wax and composition dolls all tell their stories. 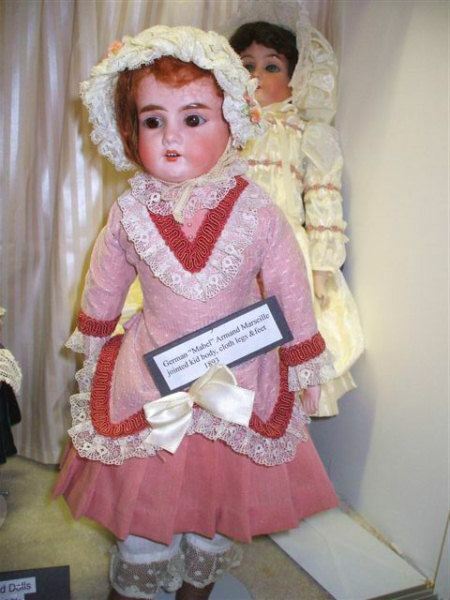 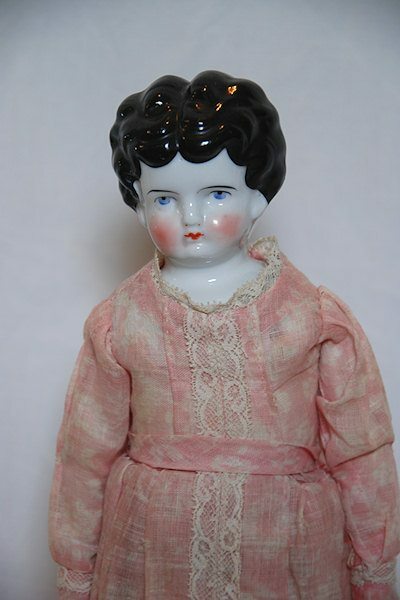 These are dolls by French and German as well as American artists and manufacturers. 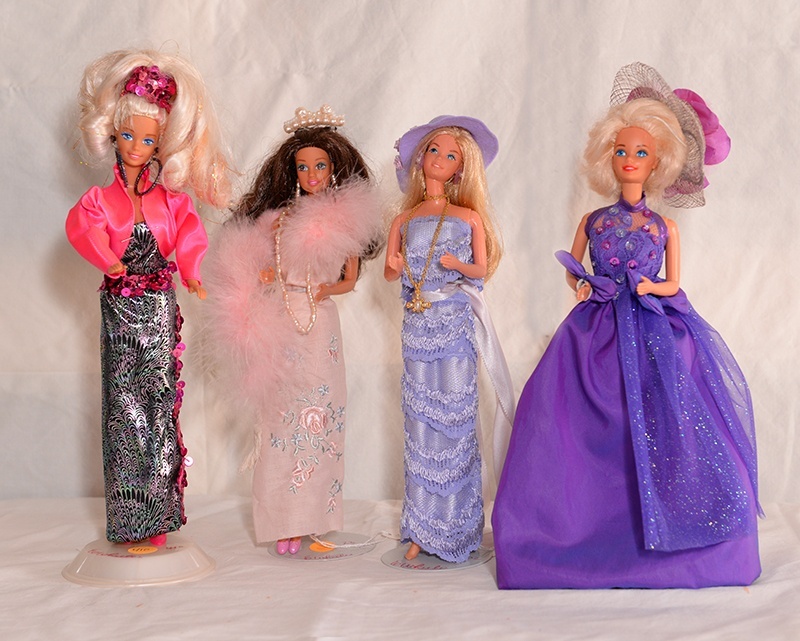 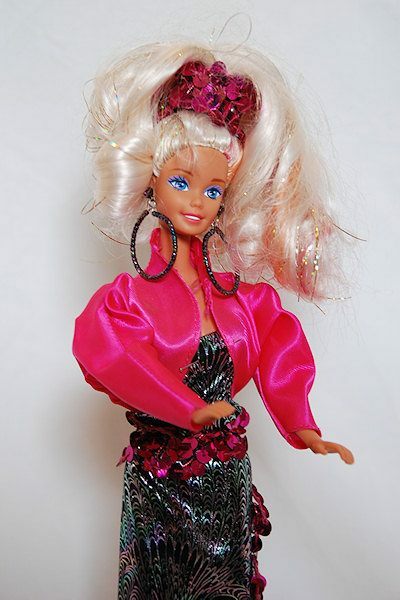 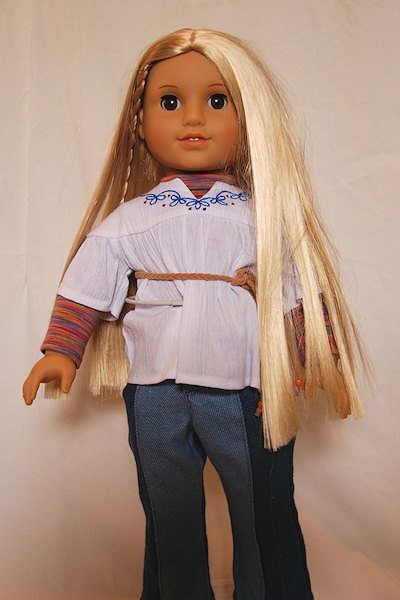 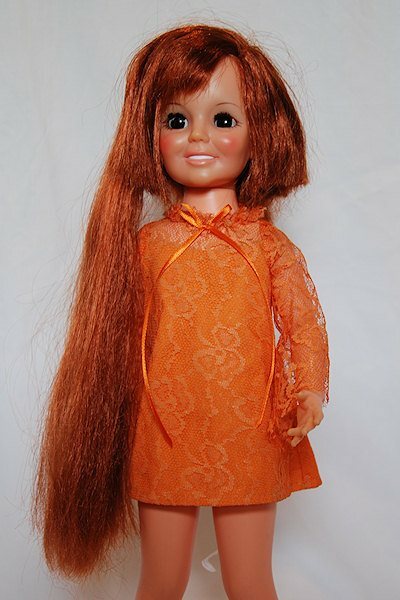 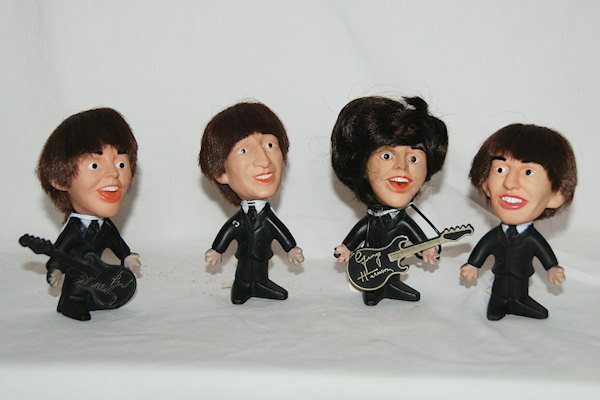 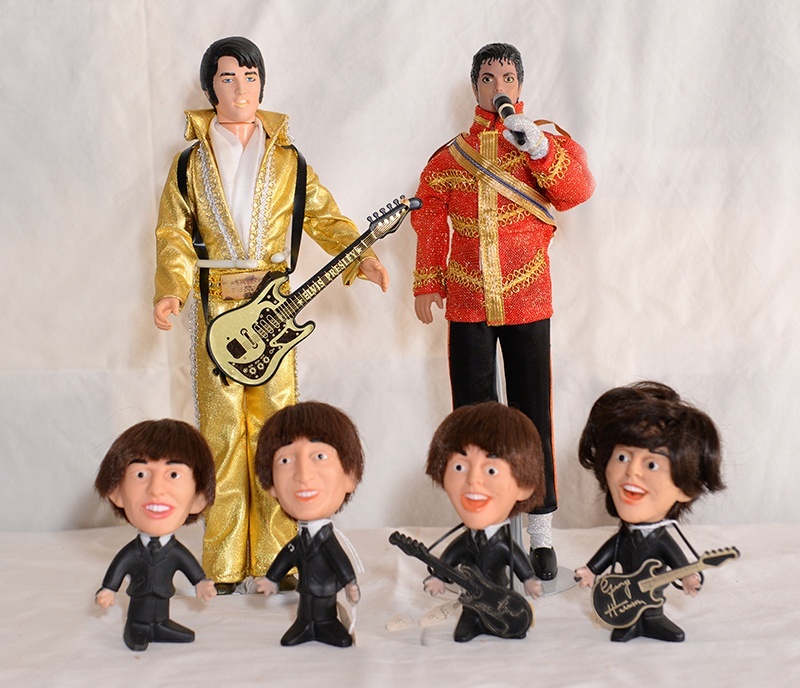 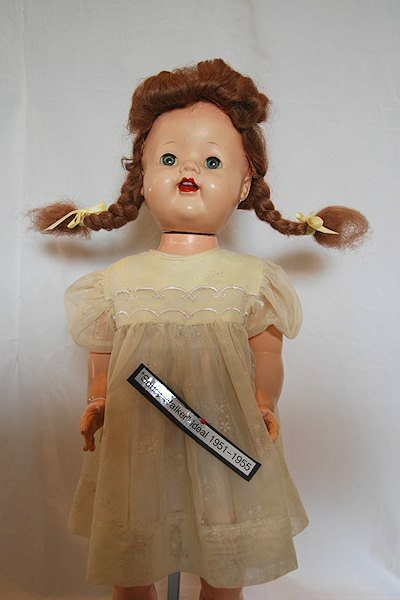 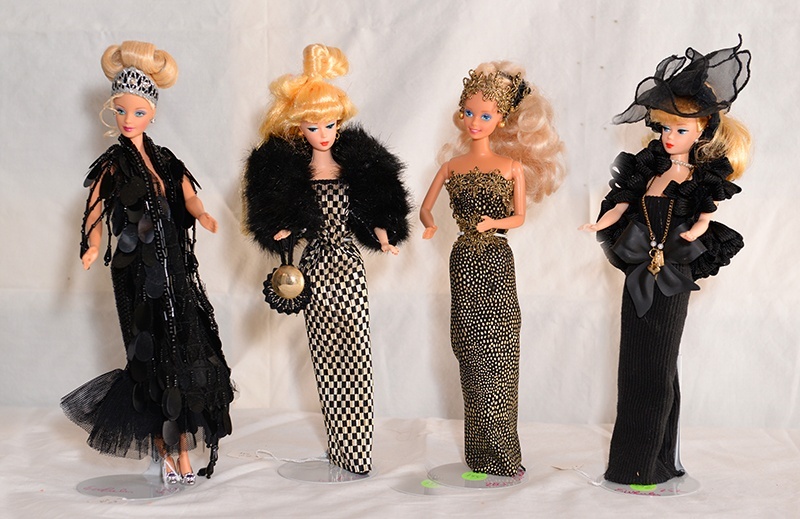 With the development of plastics and vinyl, a new look came into the doll world. 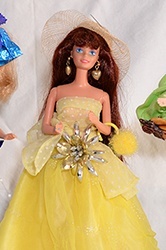 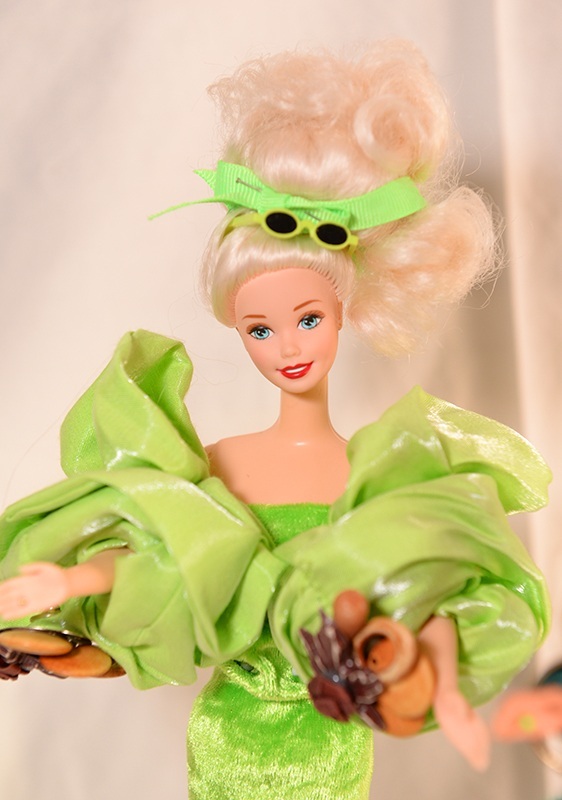 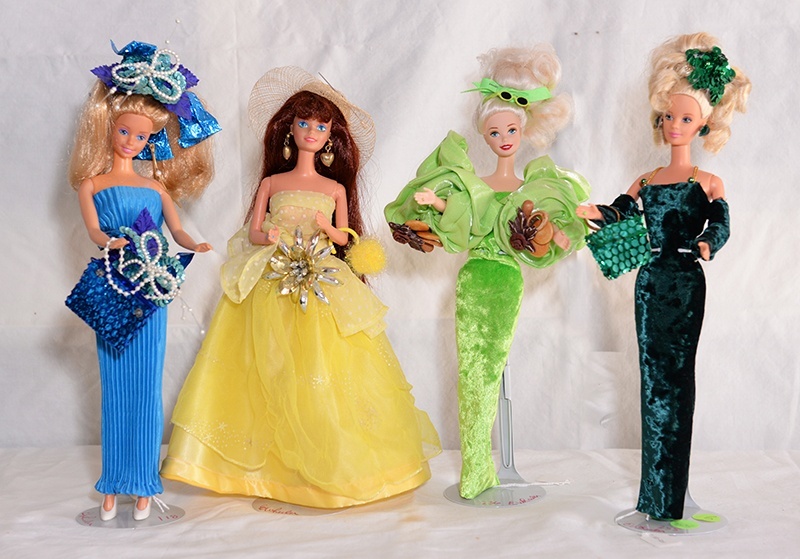 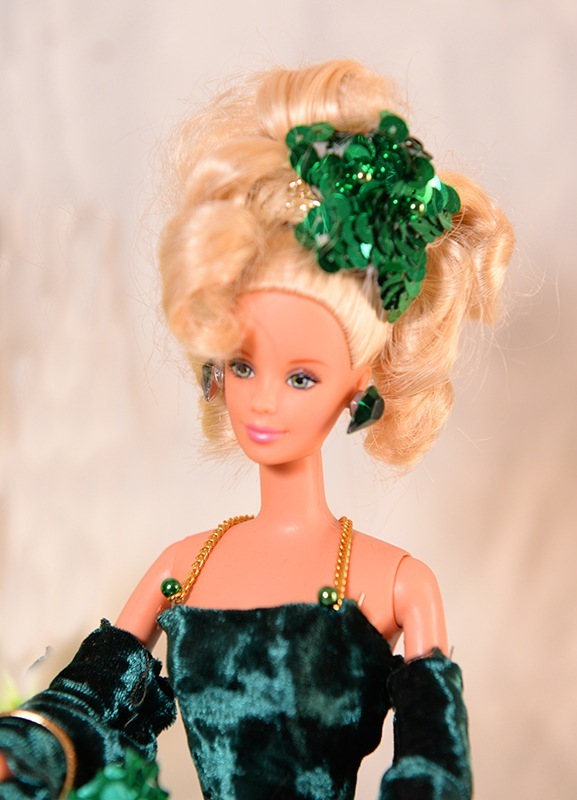 The fashion doll of the 1950's opened up a new chapter in the doll story. 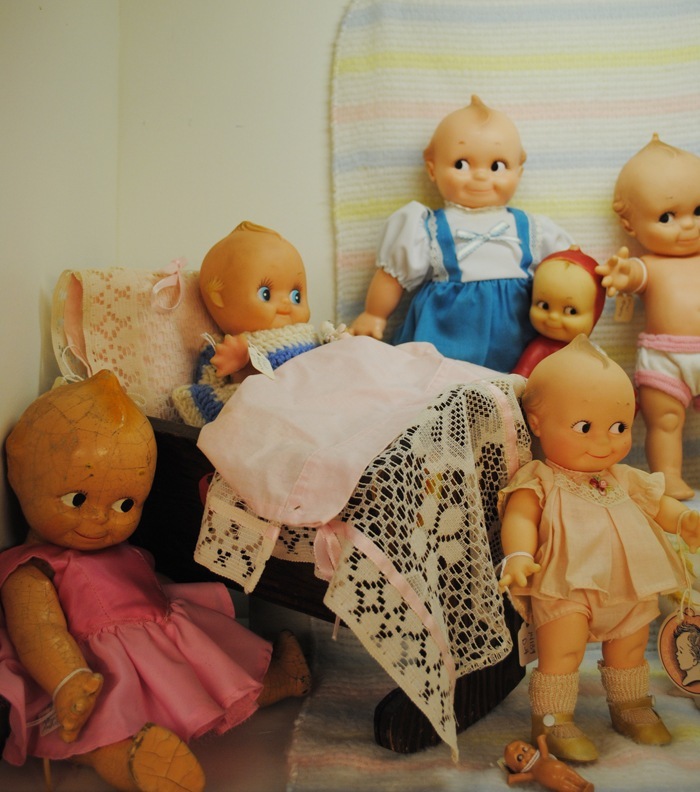 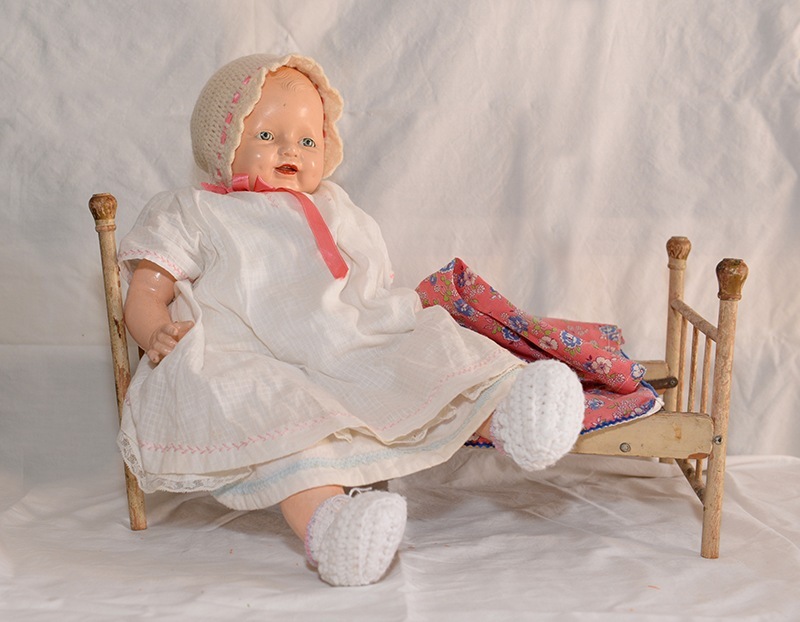 Mothering came naturally to the decades of baby dolls. 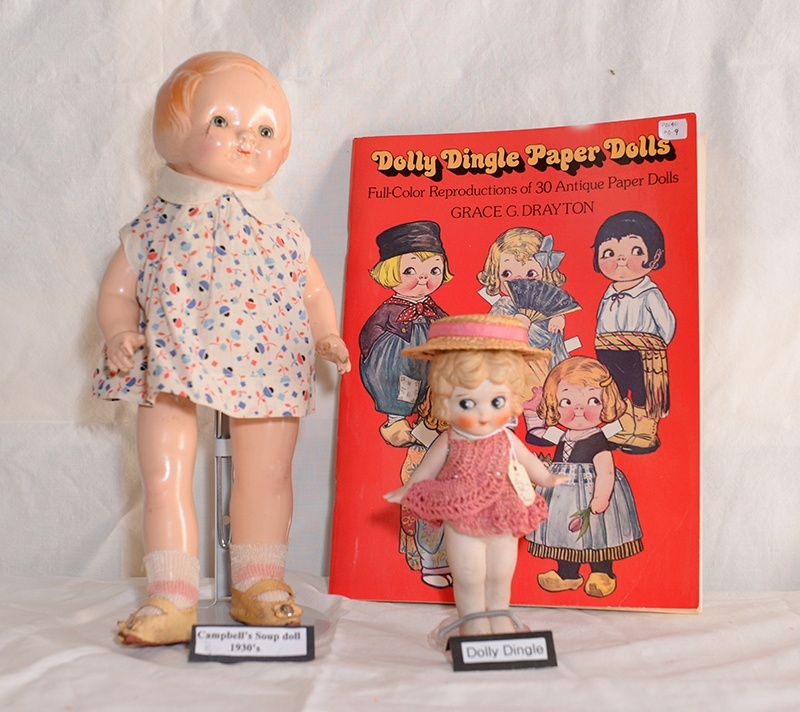 Whether from the 1920's made of composition, 1940's and 50's rubber, or the 1950's to current made of vinyl and plastics, they generated nurturing. 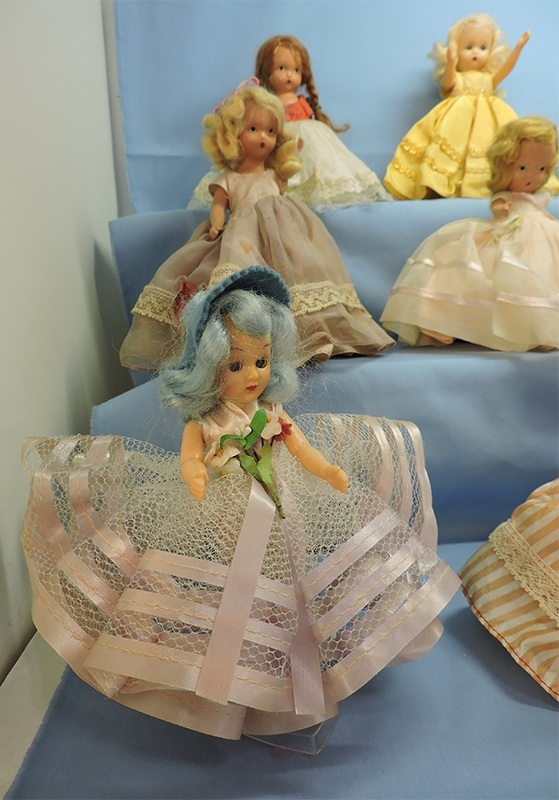 Our selections on display are numerous and diverse. 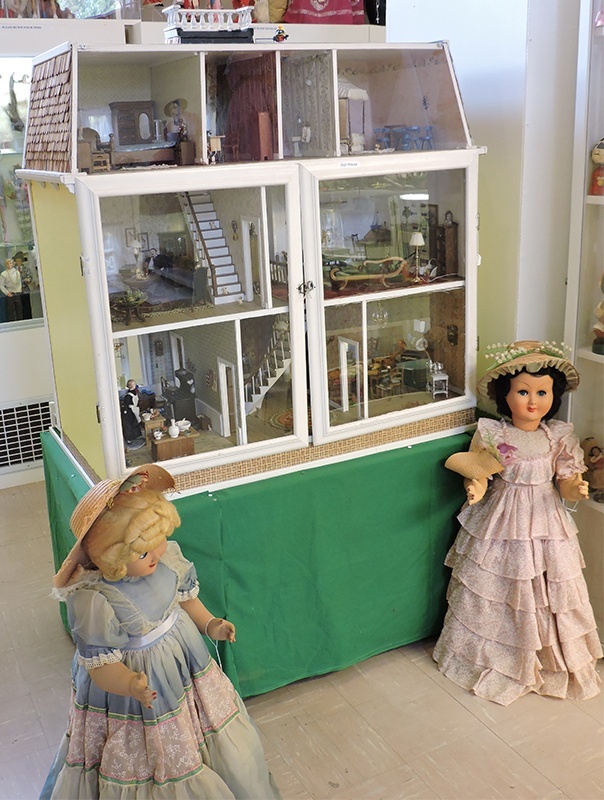 A number of doll houses are on display. 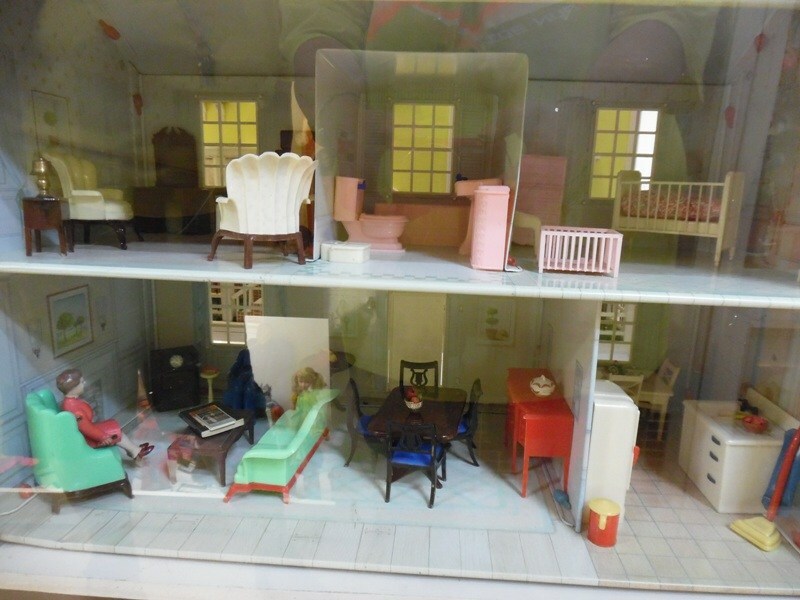 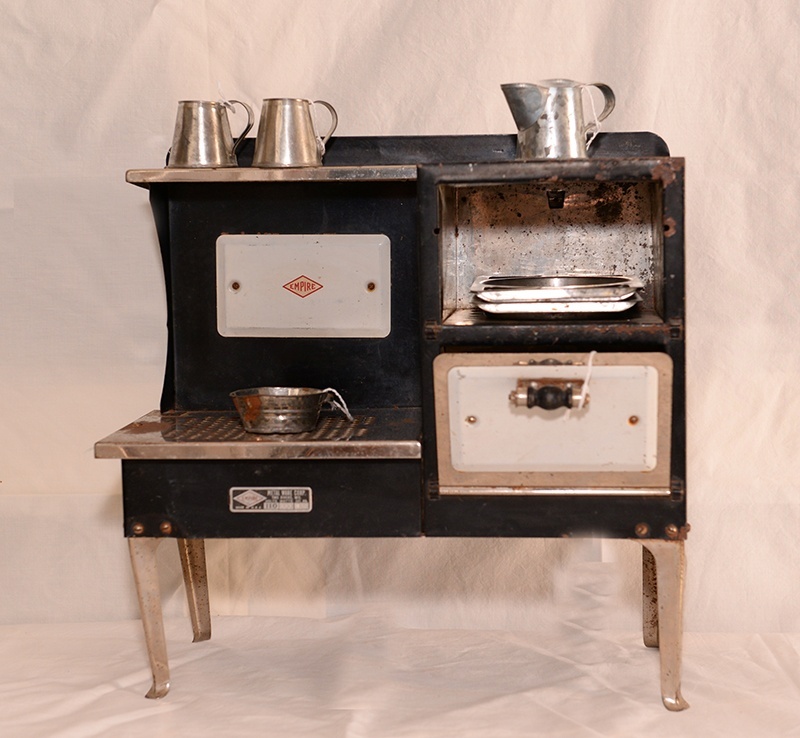 Made of wood, metal and plastic, the dollhouses depict homes from the 1930s to the 1990s. 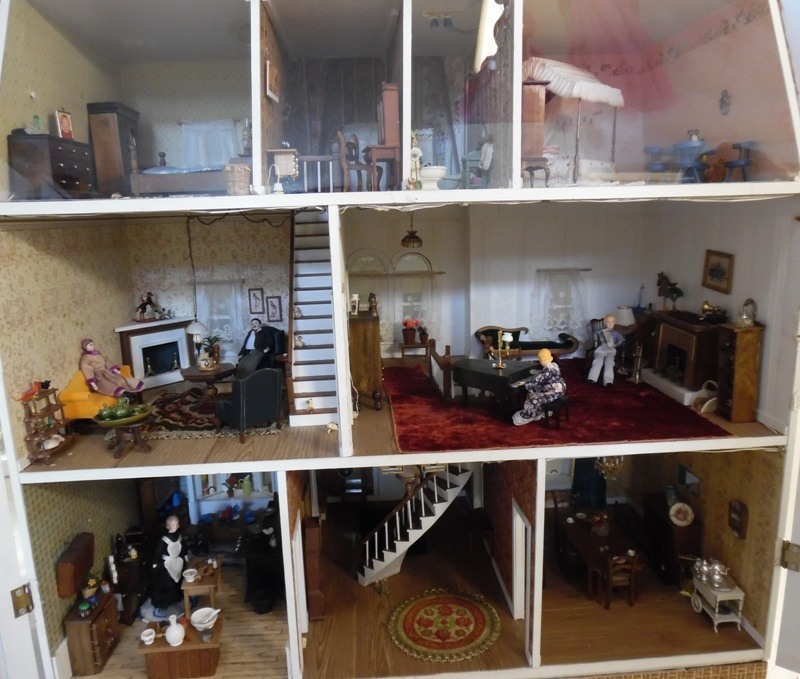 Styles and furniture from those periods are shown with precise and tiny detail. 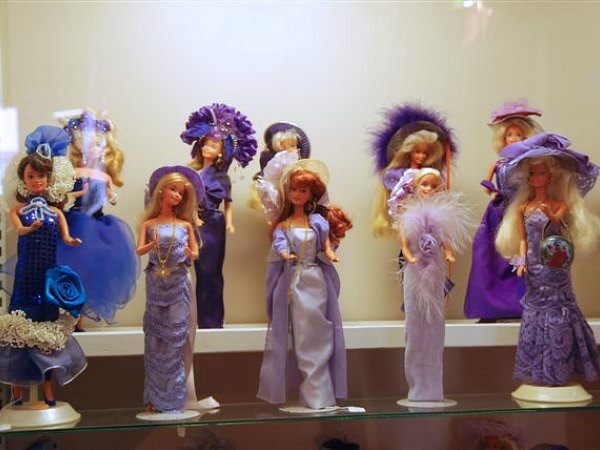 "Breathtaking, fabulous, such creativity", are just some of the exclamations heard when visitors are surrounded by the 736 custom styled Barbies®. 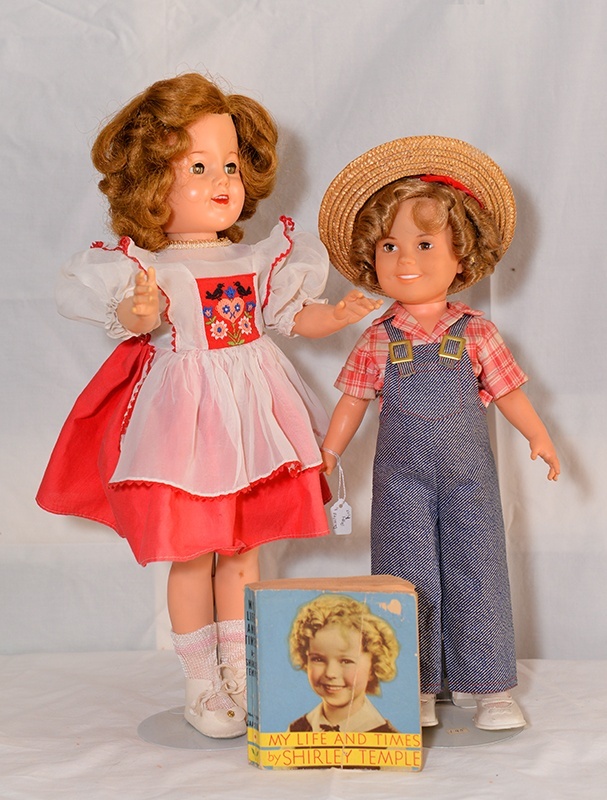 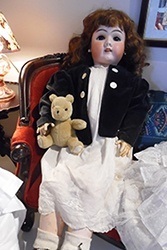 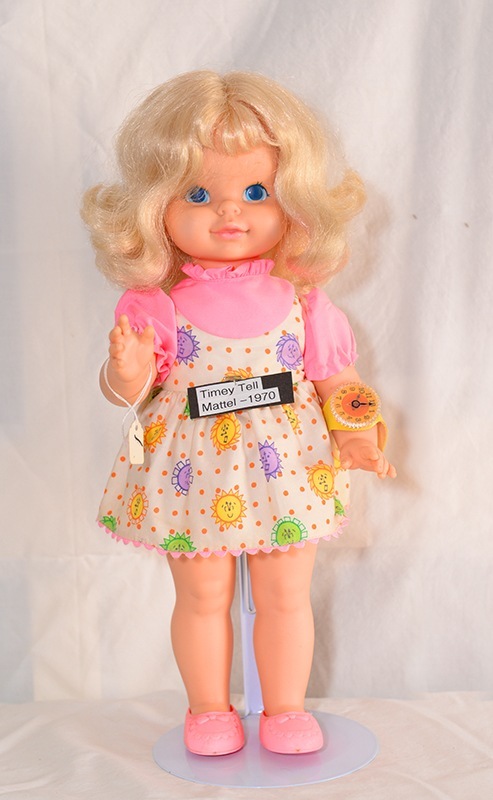 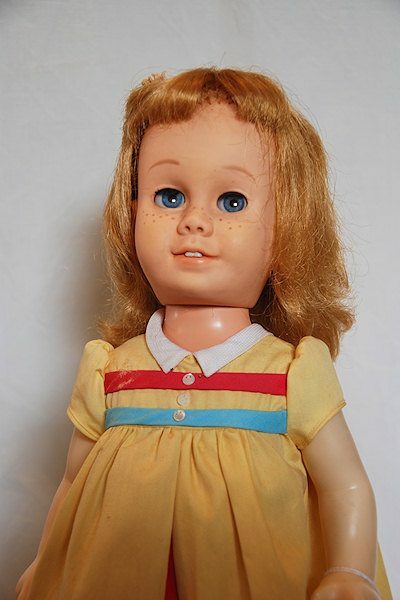 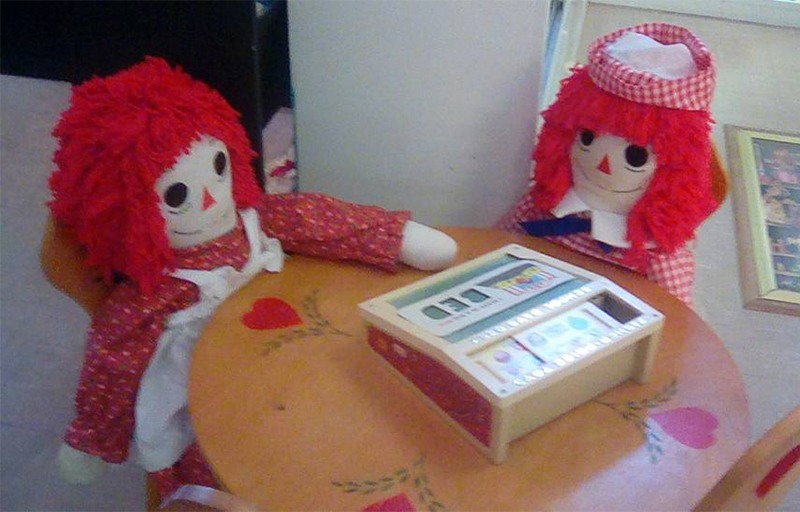 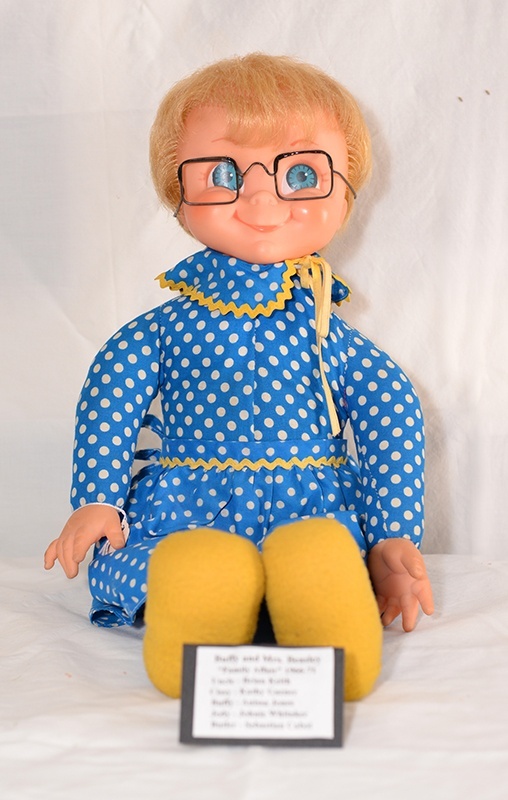 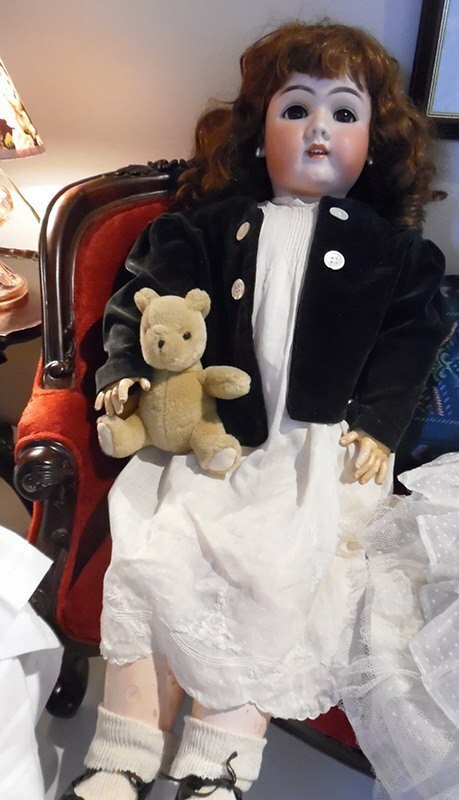 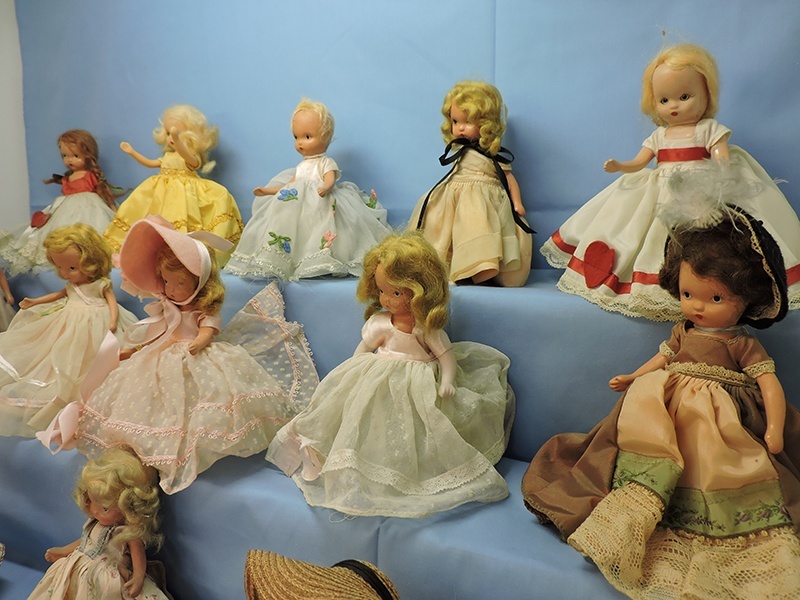 Mrs. Beasley, Annie, Elvis, and George Burns and Gracie, Shirley Temple are just a few famous people to be found intermingling in the Doll Room. 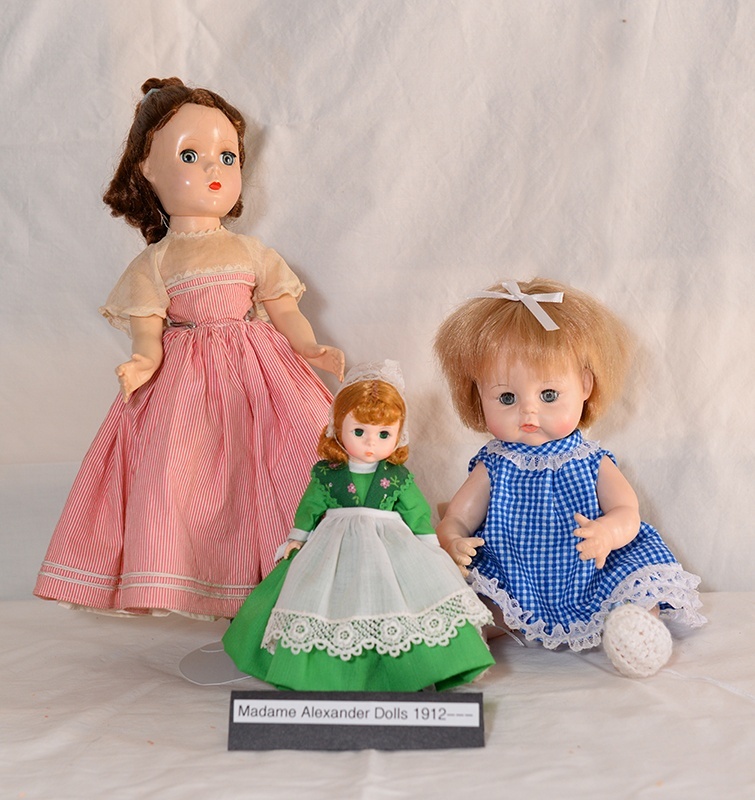 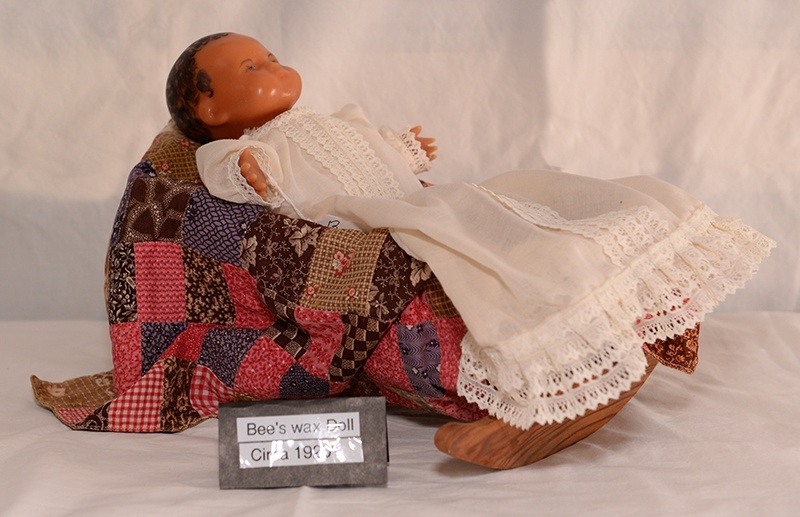 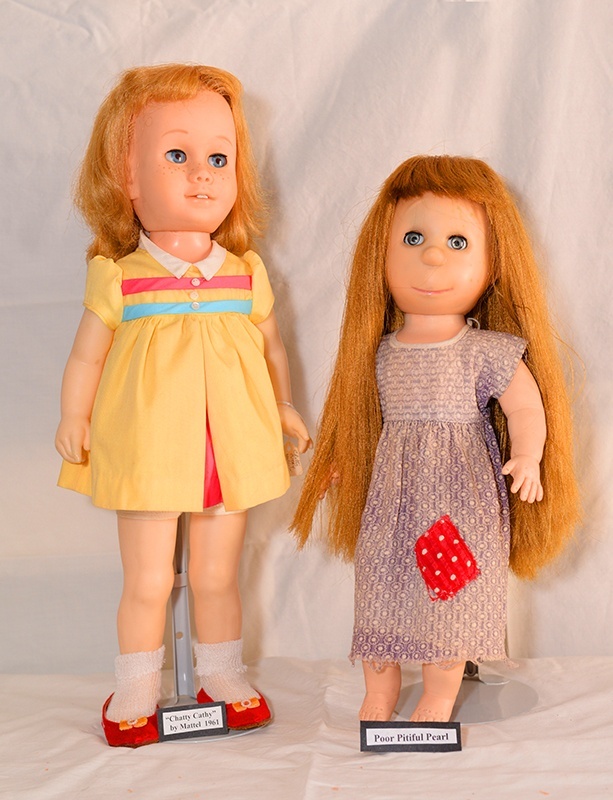 Examples of the early editions of the American Girls dolls are on display. 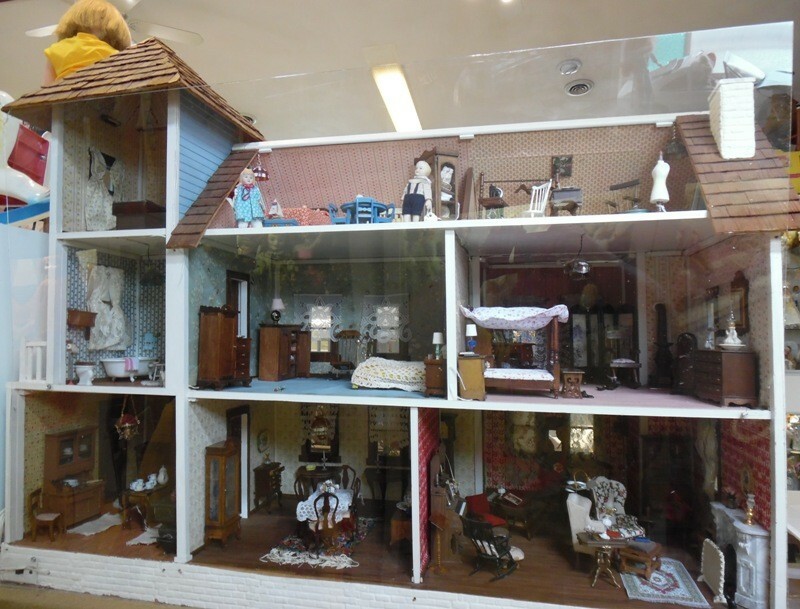 From the 1800's to 2000, examples of creativity in design, love in care and preservation of memories reclaimed of imaginary play are all here. 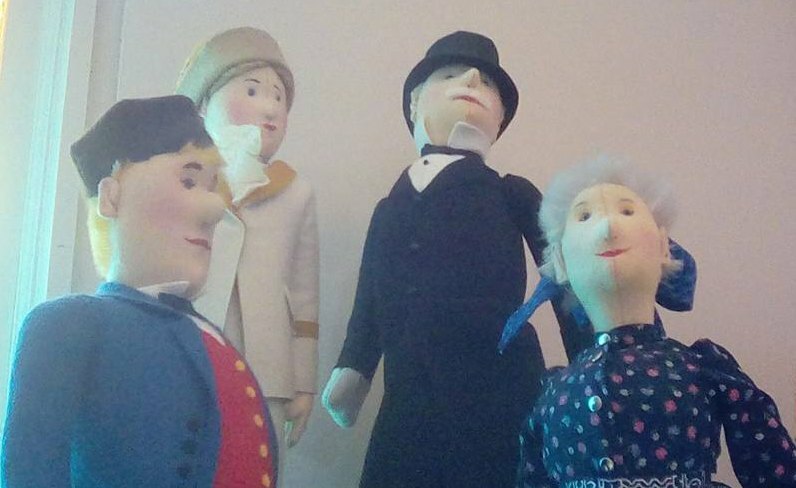 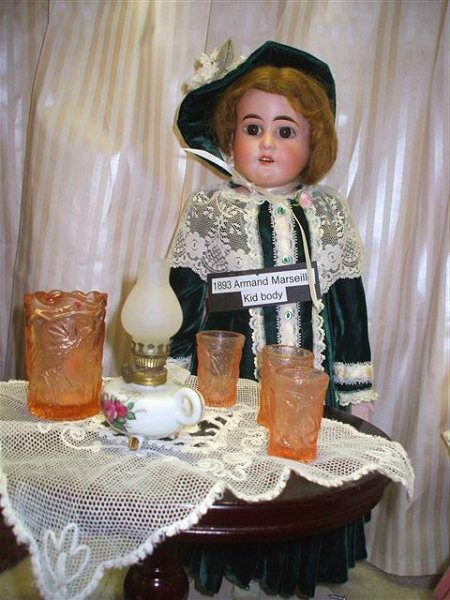 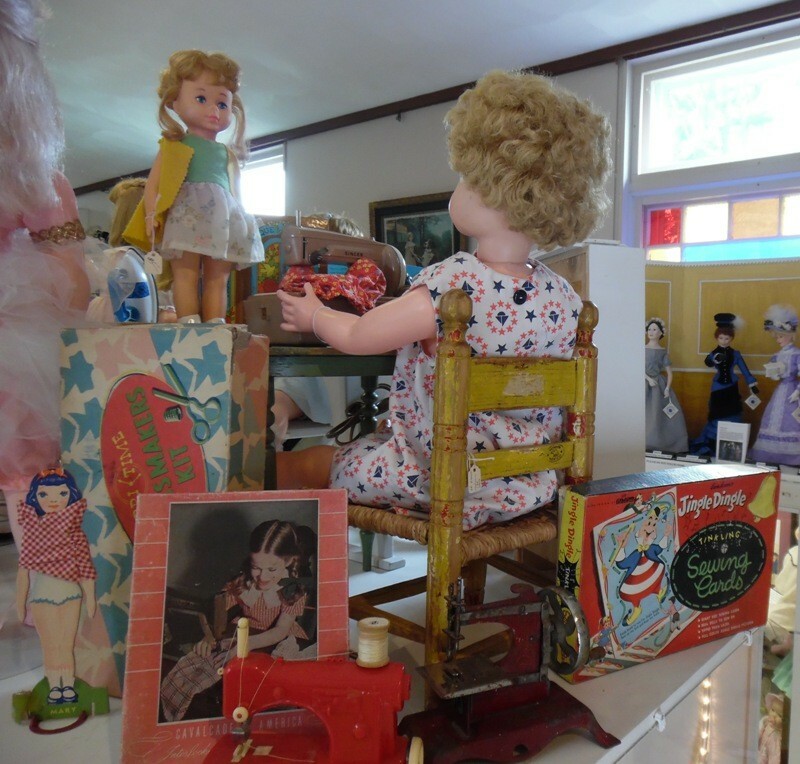 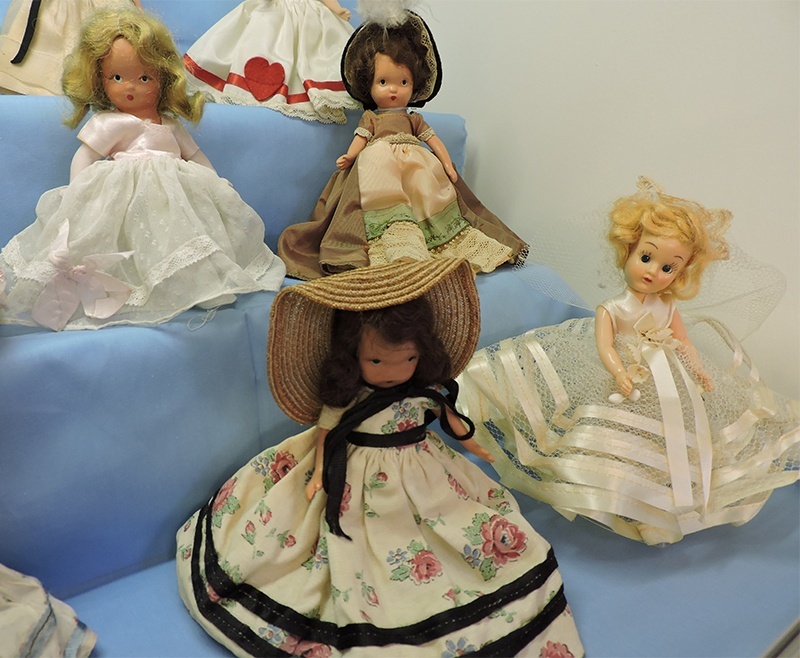 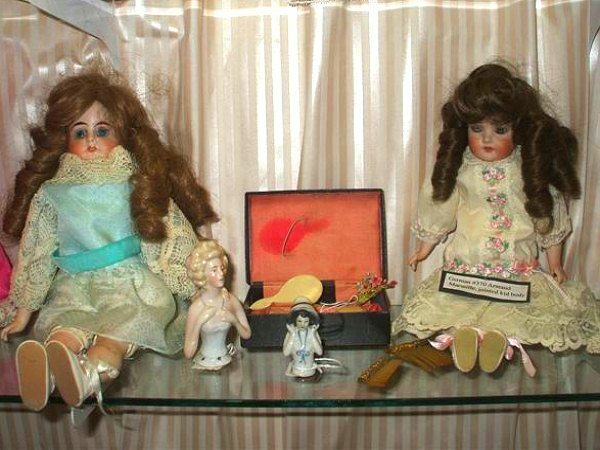 The Friends of the Fennimore Doll & Toy Museum meetings are held the first Tuesday of each month at 6:30 p.m. at 1720 15th Street. 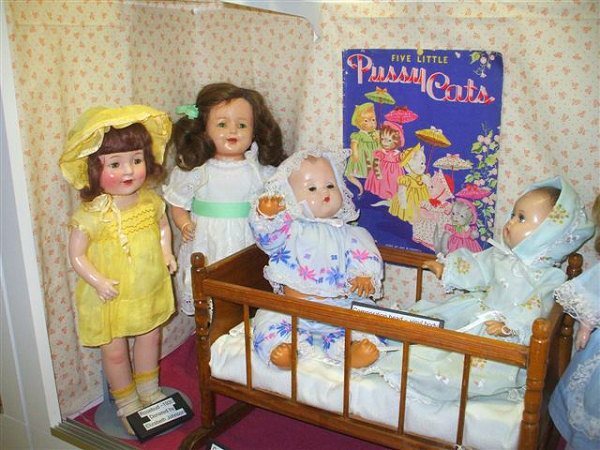 Anyone interested is welcome. 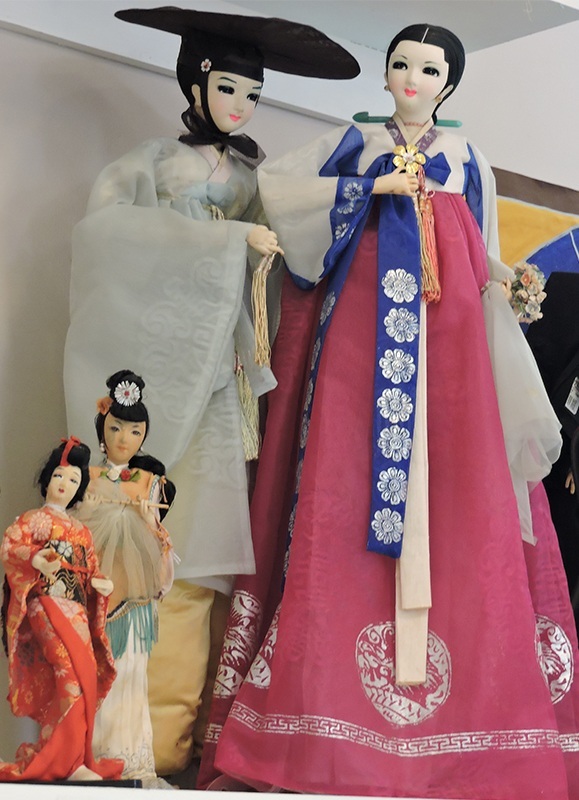 Please see our Friends Organization page for more information.